Isn’t there anything more frustrating than having to click endlessly through drop-down menus, tabs and pages to find an address, a contact number, opening times, a price structure etc? The last few years have witnessed an emerging trend of simpler designs such as one page websites which tend to keep all the key information concerning a business on a single page. Instead of trying to figure out a pathway through a cluttered website, users simply have to scroll down one webpage which has the perfect amount of information – just enough for the user to make a decision and act upon it. 2014 was the tipping point for mobile usage. From that year on, the number of global users accessing web pages through a mobile device took over the number of desktop-only users. 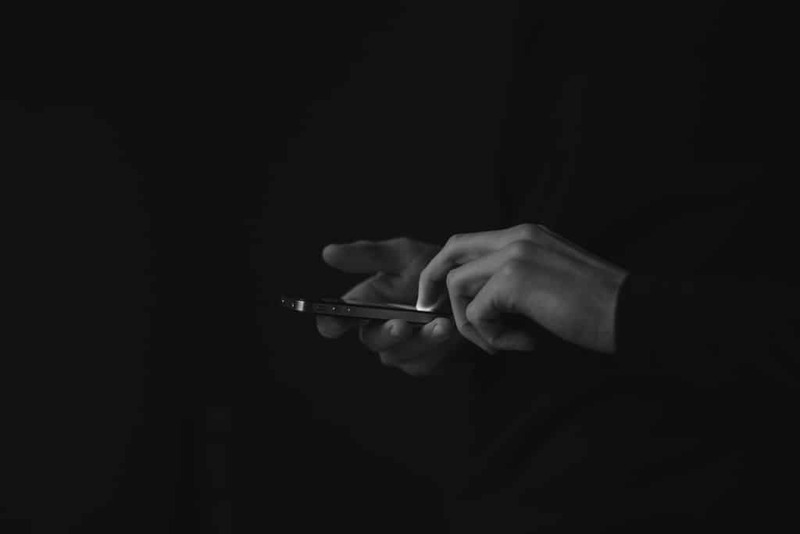 In order to understand how people access information, several studies delving into usage behaviours show that if people are more likely to use a desktop for time-consuming tasks or more in-depth searches, they will predominantly access the internet via a tablet or a smartphone for quick and specific searches. A one page scrolling website will naturally lend itself to the touchscreen configuration of a smartphone or tablet. As well as that, from April 2015 on, the Google search engine started “expanding its use of mobile-friendliness as a ranking signal”. A mobile friendly website simply means that a web page will re-scale depending on the device it is viewed on and will also rank better than an unresponsive website. In other words, the incentive is there to design for small screens. An infinite amount of web pages, “always-on” news-feeds on social media platforms, e-mails and phone messages mean that users are constantly interrupted or bombarded with new information, making it increasingly more difficult to make sense of it all. Designing a one page website is another reason to minimise information overload by editing away wordy descriptions and content-heavy pages. Further studies have shown that when it comes to reading longer posts, only 20% to 25% of users will read an article in its totality until its final paragraph. A one page design facilitates the layout of “scannable” content. 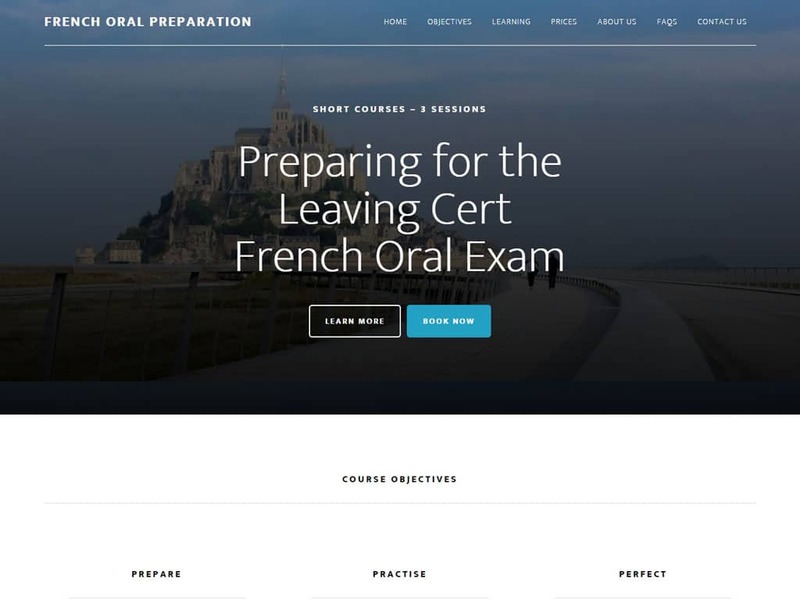 Set up by Pagecrafted, French Oral Preparation for instance is a one page website with Menu items pointing to different sections of the same page. “Contact Us” is the only tab pointing to a separate page. concise and scannable content flowing logically with obvious keywords and visuals capturing instantly what the website is about. One page websites are the ideal Digital Business Cards for small businesses selling a product or a service, sole traders, freelancers, designer or artist portfolio, retail shops, restaurants and cafés etc. While the one page design might not work for every type of business such as large e-commerce websites or content-heavy websites, the principles of the one page layout remain valid on the home page only for instance, with a clear menu and obvious navigation links to additional pages.